← Boules applications NOW OPEN! 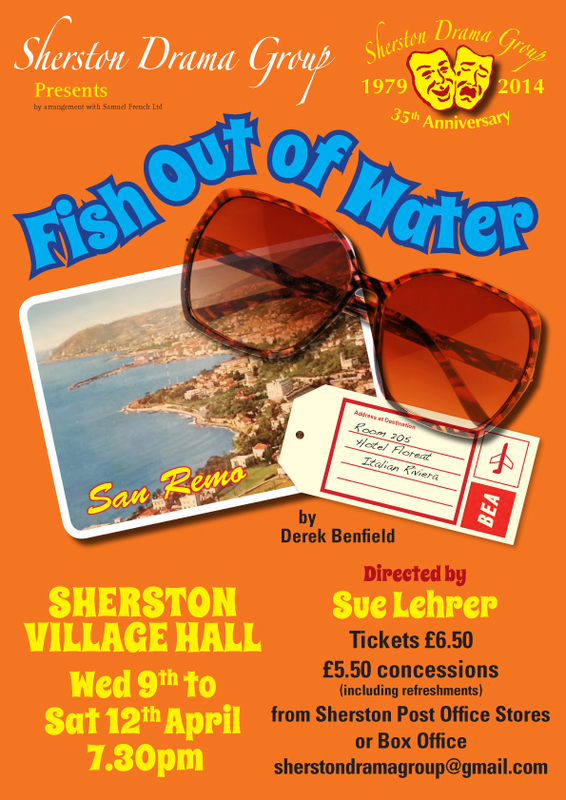 Sherston Drama Group are putting on a production of “A Fish out of Water” Wednesday 9th April to Saturday 12th April at 7:30pm in the village Hall. Everyone’s worst holiday nightmare comes true. Strikes, strikes at the airport, no taxis and double booked rooms all feature in the latest production by Sherston drama group. This comedy set in a hotel of a well known Italian resort brings together an ill assortment of guests plus under worked staff. All hell breaks loose when Agatha , an outspoken widow, and her timid sister Fiona arrive at the hotel and shatter the peace. Fish out of water, a fast paced comedy by Derek Benfield and directed by Sue Lehrer is a side-splitting riot which you could happily take the whole family too.